Hi everyone. 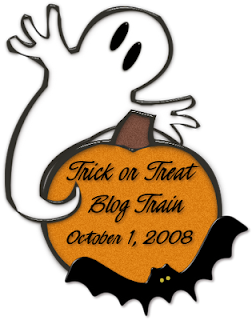 I wanted to let everyone know that tomorrow I will be participating in a really cool and fun Halloween blog train. There will be alot of fun Halloween scraps to pick up and I can't wait to see what others come up with. Some of the best scrap designers will be participating so check back tomorrow. Halloween is my absolute favorite. So I can't wait to pick up some really cool stuff myself. A SUPER BIG Thank you to Angie from one of my favorite places to hang out online http://angiesasylum.blogspot.com/ for letting me join.